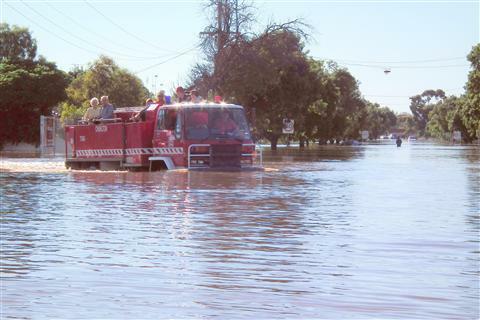 The Buloke Shire Council has a statutory obligation, under the Emergency Management Act 1986 (Victoria), to plan for the best use of municipal resources in the prevention of, response to, and recovery from municipal emergencies. Typical emergencies may include storms and localised flooding, motor vehicle accidents, toxic spills, bushfire and fire damage to private and commercial properties. The Buloke Shire Council has a Municipal Emergency Management Plan (MEMP) that documents the requirements and procedure for emergency operations within the municipality. The aim of the plan is to ensure an effective and coordinated response to minimise the effects of an emergency situation and to enable the community to recover from that emergency. Council’s MEMP was reviewed by the State Emergency Service and other key stakeholders in June 2010 to incorporate a ‘risk management’ approach to emergency management. The plan now focuses on the causes of risk (hazards) and the elements at risk (community and environment) rather than emergencies that may arise. The Plan will contribute to the well-being of the community and the environment by reducing the incidence and impact of emergency risks within Buloke Shire. Neighbourhood Safer Places A Neighbourhood Safer Place (NSP) is a place of last resort and aims to provide some protection from the effects of radiant heat during a bushfire. Emergency Numbers What phone number do I dial in the case of an emergency?